Turkish firm Gersan Inc. will install the world's fastest electric vehicle charging stations, the Tesla Superchargers, the company's Sales and Marketing Manager Mustafa Serdar Salci told Anadolu Agency on Monday. Speaking exclusively to Anadolu Agency, Salci said the confidentiality agreement, signed last month between Gersan Inc. and Tesla Motors Netherlands B.V. will firstly include the assembly and installation of Tesla's Superchargers and also AC/DC charging stations in Turkey. "For now, we will only engage in the assembly of the Tesla Superchargers. However, as we gain experience, we will stay in contact with Tesla on the production of the Superchargers and for producing our own Tesla-compatible products. These will be handled under different agreements," he asserted. Salci confirmed that Gersan Inc. has already started feasibility studies for locations where the Superchargers will be installed with the aim of ensuring that Tesla users can charge their cars all around the country. The company plans to install Superchargers as well as AC/DC stations at a maximum distance of 200 kilometers, especially in intercity routes having followed developments very closely in housing, shopping malls, public spaces, and carparks, Salci said. He noted that the company will initially invest nearly 10 million Turkish liras (approx. $2.6 million) but added that further investments would be required to increase the capacity and speed of the chargers. On the future plans for Turkey's first electric car, Salci said the company plans to contribute to Turkey's domestically produced electric-engine car by producing software for electric cars that is compatible with the charging stations. "The automobile is a technology on its own while the charging technology that will allow the automobile to run is another. 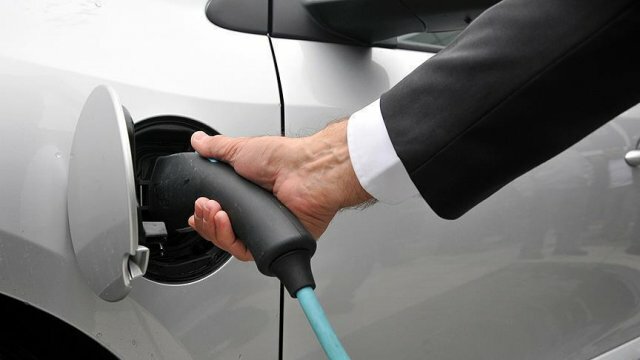 In this sense, we are sure that we can add to this product in terms of both base stations and computational facilities for the cars to be compatible with the charging stations," he said. President Recep Tayyip Erdogan in November announced the prototype of the first domestically produced car, which is expected to be produced in Ankara, ready in 2019 with sales planned for 2021. A joint venture of five automotive supplier firms -- Anadolu Group, BMC, Kiraca Holding, Turkcell, and Zorlu Holding -- will jointly manufacture Turkey's first homemade car. Turkey attempted to produce its first domestically produced car in 1961, the Devrim (Revolution), which was unsuccessful after production was halted after the first prototypes were manufactured. Gersan Inc. is Turkey's first manufacturing company of electric vehicles charging systems. The company is 60 percent publicly owned and is quoted on the Istanbul Stock Exchange, the I.M.B.K.